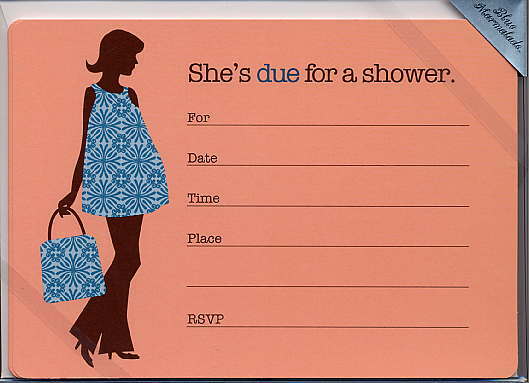 Cute new stylish baby shower fill-in invitation. 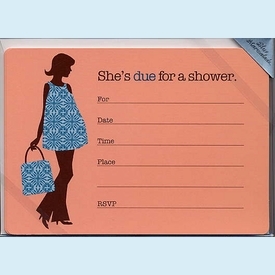 Coral card printed with brown silhouette mama-to-be in hip blue frock and bag. Pre-printed: "She's due for a shower" with fill-in lines. CLOSEOUT! Last box!